A public meeting to share the latest findings will be held on February 12. Image: Supplied. 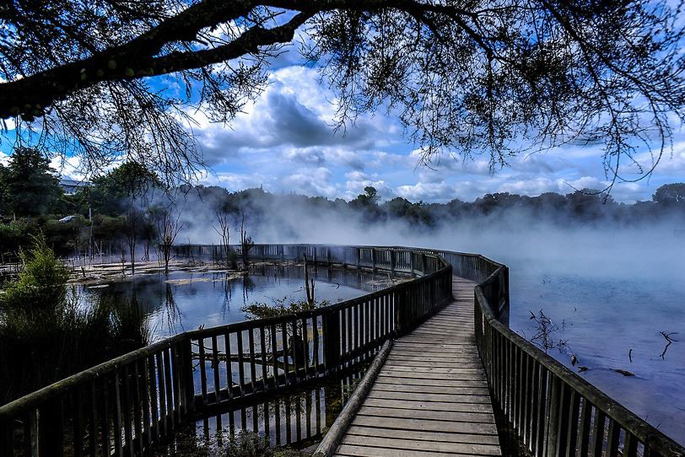 Ever wondered what’s bubbling below us in Rotorua? GNS Science and Bay of Plenty Regional Council have been investigating volcanic hazards and deep geothermal energy resources in the Taupo Volcanic Zone for the last decade and can how share the latest findings to interested members of the public, at a meeting to be held February 12. Since 2009, GNS Science has been collecting magnetotelluric or MT measurements to further understand volcanic hazards and the deep geothermal engery resources in the Taupo Volcanic Zone, including Rotorua. Magentotelluric measurements help to build a picture of where geothermal fluid may be present deep within the earth – in the case of the Taupo Volcanic Zone, three – seven kilometres underground, and the underlying magmatic heat sources of the geothermal systems. The most recent results from this research will be presented at a meeting, open to the public, at the Bay of Plenty Regional Council Rotorua office, 1125 Arawa Street, Rotorua, on February 12, from 5.30pm. GNS geophysicists Ted Bertrand says the results of the research were proving to be extremely interesting. “Over the last few years, we have started to see the connection between the shallow parks of geothermal fields and the underlying magmatic systems which provide the heat. GNS geophysicists Grant Caldwell says as a Crown Research Institute, one of their aims was to provide information that would encourage future exploration and research into sustainable geothermal resources at depths greater than currently explored. Bay of Plenty Regional Council Geothermal Programme Leader Penny Doorman says as managers of the resource, it was important that this type of work was undertaken.